I count myself fortunate to live in the South East of England in the county of Kent, popularly known as 'The Garden of England'. We like to think that we get the best of the UK weather, we have many sandy beaches with Blue Flags for safe bathing, farming is mostly fruit and veg, and sheep. We are also just 20 miles or so across the English Channel from mainland Europe and the place where the Romans landed in the first century AD. Much of the history of the area has come about due to invasions from Scandinavia, France and Italy. Within a radius of about 15 miles of my home I have many villages and hamlets with populations of a few dozen to a few hundred people. These originate from their location, be it on a river, or pilgrims route, or Roman road, or coaching route. 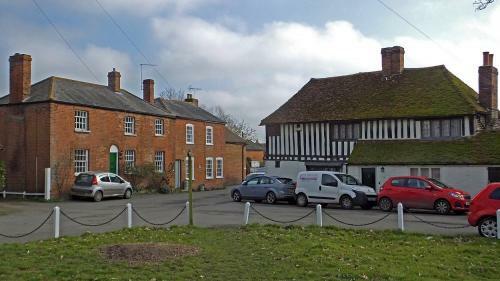 A typical village would include a public space (the village green), the church and rectory, the squire or local land owners house, workers cottages, and of course an inn (now the village pub). Larger villages may also have a school. 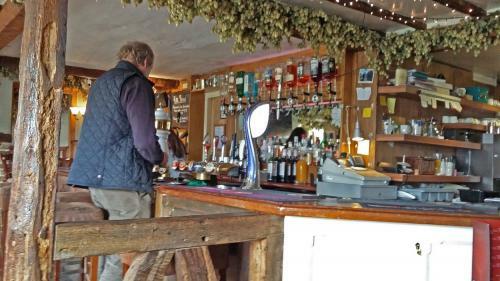 Last Saturday we went for lunch to the village pub in Wickhambreaux just 5 miles from the city of Canterbury. This village has about 500 residents, it does have a small village school which is rated exceptional. The village and two others nearby, have a corn mill with water wheels driven by water from a small river. 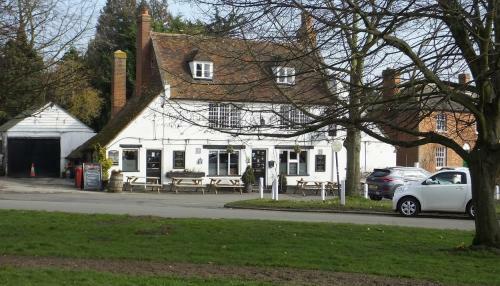 It has its Manor House, Wickham Court, and a lovely little inn, The Rose, dating back to the 1500's. 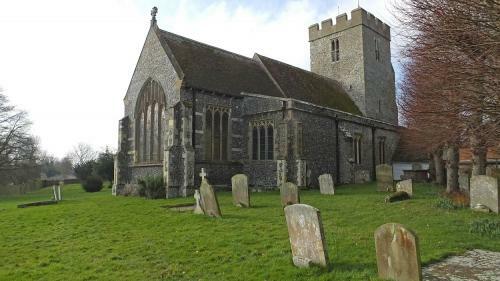 The impressive church dates from the 14th century. It was a dull morning so pictures are not the best quality and the village is spoiled at weekends with so many vehicles around. 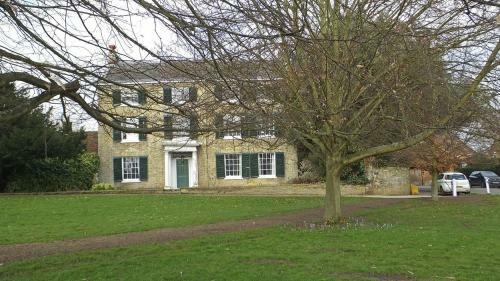 Wickham Court on the west side of the village green. The facade of this impressive house dates from the 17th century however it is understood that this brickwork covers an earlier medieval building so this is a house with secrets. 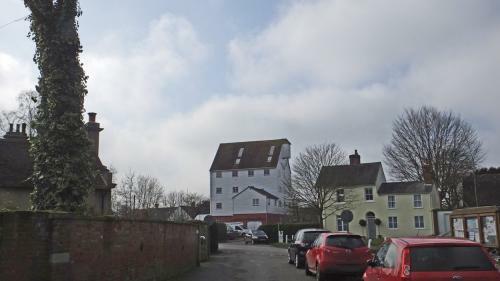 Wickham Mill, just off the village green. 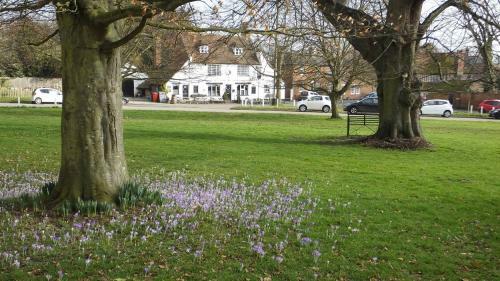 Looking north across the village green. 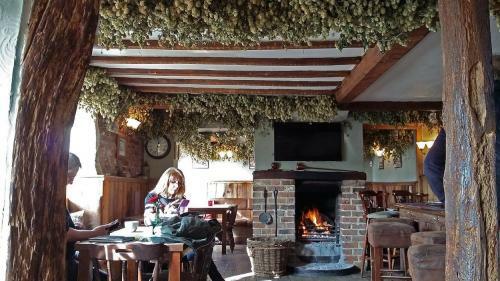 Inside the pub with open fire and hop vines draped around the ceiling. Looks like a beautiful pub Raddang. Thanks for taking us along with you. Thanks. That was a lovely virtual trip.